Bode Miller and his wife Morgan are opening up for the first time about the drowning of their daughter. Stacey Bell reports. Bode Miller and his wife Morgan Beck Miller welcomed a baby boy on Friday. According to People, the little bundle of joy was born Oct. 5 at 1:34 p.m. The happy news came about four months after the Olympic skier and pro volleyball player lost their 19-month-old daughter, Emeline, in a tragic drowning accident. Back in June, Captain Steve Concialdi of the Orange County Fire Authority told E! 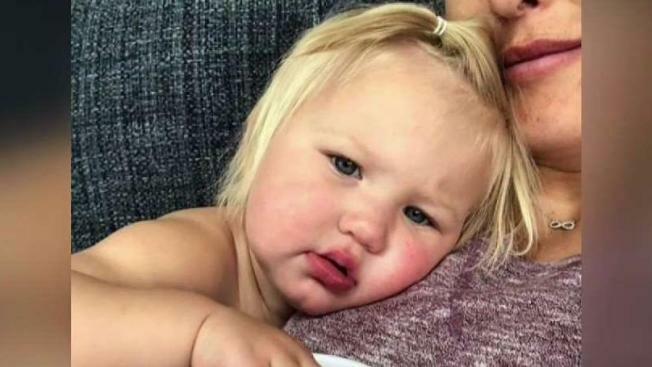 News Morgan Miller had been visiting a neighbor's house on Saturday, June 9 when she realized her daughter had gotten away for a short period of time. The mother headed to the backyard, where she found her daughter in the pool. Miller pulled Emeline out of the water and called 911. Paramedics tried unsuccessfully to resuscitate the girl and rushed her to Mission Hospital in "grave condition." Emeline passed away on Sunday, June 10. The accidental drowning of Olympic skier Bode Miller's daughter is an example of what happens every day: CDC data shows that drowning is leading cause of unintentional death among children. "We are beyond devastated. Our baby girl, Emmy, passed away yesterday," the Olympian wrote in an Instagram post at the time. "Never in a million years did we think we would experience a pain like this. Her love, her light, her spirit will never be forgotten. Our little girl loved life and lived it to its fullest every day. Our family respectfully requests privacy during this painful time." The Millers opened up about the drowning during a July interview with "Today." "I can attest from firsthand experience now that it's unbelievable quick and unbelievable sneaky," Bode Miller told NBC's Savannah Guthrie. "You'd think it'd be some weird circumstance or some strange thing, and it's not. It just happens in the blink of an eye." The said they couple chose to speak out at the time to increase awareness about drowning and warned parents of how quickly it can happen. "A child under 30 pounds can drown in 30 seconds," Morgan said in the emotional interview. "And I just keep counting to 30 in my head. That was all I needed." Issuing a safety warning to parents, she added, "And so it's one of those things where, as a parent now, when you go to someone else's house, survey the home to see if it's a safe place for your child to be." Bode announced the couple were expecting another child in April. He is also the proud father to three other children.